Did you know that caffeine is the world’s most widely consumed psychoactive drug? I have to admit that I’m a bit of a caffeine addict; you don’t want to mess with me before I’ve had my morning cup of coffee! In addition to being a caffeine addict, I am, of course, a skin care fanatic, which is why I am definitely interested in skin care products that contain caffeine. While caffeine is purported to provide numerous skin benefits, it is most often used for skin tightening in products such as eye creams and anti-cellulite products. So can caffeine really help to tighten the skin? Do You Know The Skin Care Benefits of Ghee? Did you know that ghee is not only a highly nutritious food, but also an excellent skin care ingredient? In this post, you’ll learn all of the skin care benefits of ghee! 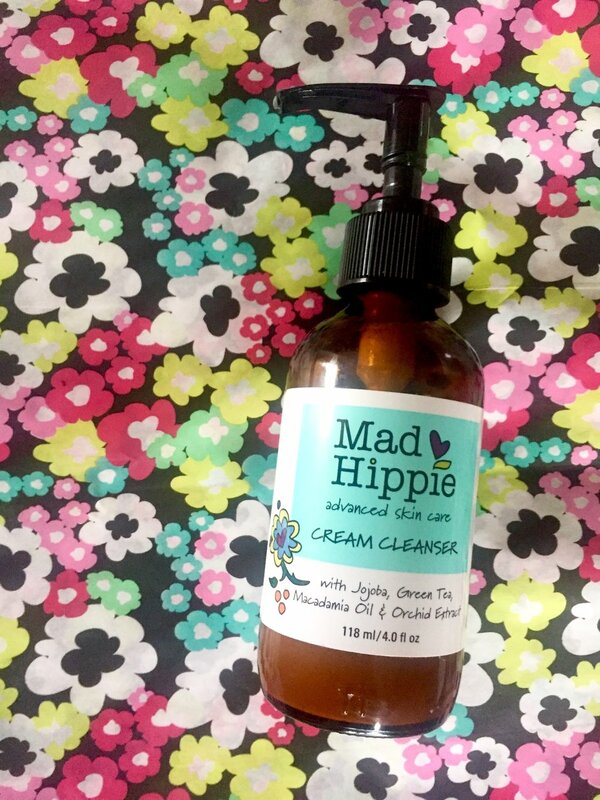 Mad Hippie Cream Cleanser is an all-natural cleanser that effectively removes makeup and other impurities, leaving the skin feeling soft and looking bright. With fall right around the corner, I've been on the hunt for a new moisturizer to meet the needs of the changing weather. I currently use the Dr. Lin Skincare Daily Hydrating Gel since its lightweight, hydrating formula is perfect for hot summer months. However, as the weather starts to cool down and the air becomes dry, I've been looking for a thicker moisturizer that contains skin-replenishing ingredients, and I think I've found the perfect product: the SkinCeuticals Triple Lipid Restore 2:4:2. Since retinoids are the gold standard for giving your skin a youthful, glowing appearance I’m going to help you to understand the difference between retinoids vs. retinol. Through what I've learned as a pharmacist and my personal battle with acne, I've discovered the best tips to get rid of acne. In fact, I bet you haven't even heard of some of them before! If you are any kind of skincare junkie like I am, you've definitely heard of peptides being used in various anti-aging products, claiming to solve pretty much every skin flaw imaginable. But what are peptides? And how do they work? The Dr. Lin Skincare Daily Hydrating Gel promises "to soothe and rehydrate dry, irritated skin". Exactly what I needed! Keep reading to learn how the ingredients in the Dr. Lin Skincare Daily Hydrating Gel work to restore skin moisture + my results after using this product! Shtrands is an online platform that recommends and delivers truly personalized high-quality hair care regimens, based on a subscription model. What Is The Best Dry Shampoo? All I need is coffee + dry shampoo. The truth is, every skin type can benefit from a face oil. Skin needs oil to help maintain its hydration, especially when it is stripped of its own natural oils, such as from using too harsh of a cleanser. Before you jump on the face oil bandwagon, though, keep in mind that there is a right and wrong way to use them.